Polish president Andrzej Duda's proposals on judicial reform are unconstitutional and do little to stop politicisation of the judiciary, legal experts say. Two months after he vetoed the government's laws on overhauling the Supreme Court (SC) and National Council of the Judiciary (NJC), which nominates judges to all Polish courts, Duda has presented his own proposals on the matter. The president's bills did not undergo a public consultation, as promised, but will be referred to the Sejm, the Polish parliament, on Tuesday (26 September). There was public expectation in Poland and among the EU institutions in Brussels that he would quash the government's attempt to limit judicial independence, but Duda's plan maintains the overall direction of the ruling Law and Justice (PiS) party's ideas. "Politicisation of the judiciary and personnel changes among top judges in the SC - these are the main goals of the [Duda] drafts. The only change is that instead of granting unlimited powers to the minister of justice, the president grants them to himself", Ewa Letowska, a law professor and former SC judge, told EUobserver. His proposal on the NJC says its judges are to be elected by a 3/5 majority in the Sejm, even though the constitution states that they should be elected by judges' self-governing bodies. If the 3/5 majority cannot be reached, the president will either select the judges himself or each candidate will be separately voted in the Sejm, with the proviso that each MP can only vote for one judge. 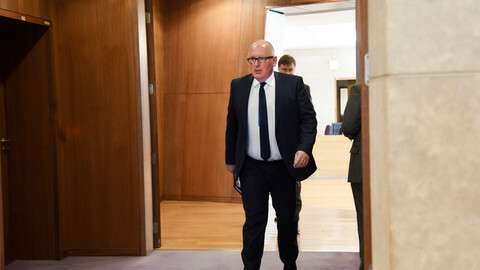 "Such changes not only breach Poland's fundamental law, but also oppose the Venice Commission's recommendation on judiciary councils", Bartlomiej Przymusinski, from Iustitia, a Polish judges' association, told EUobserver. The Venice Commission is an advisory body to the Council of Europe in Strasbourg. It has recommended that a minimum of 50 percent of judiciary council members should be elected by judges themselves to ensure the impartiality of the body. The story repeats itself with Duda's SC act. The president proposes to shorten the retirement age for SC judges to 65. Those willing to remain active beyond that age would have to undergo a medical assessment. As things stand today, SC judges can remain active until they are 72 years old if they are in good health. In addition, the older judges would need to get approval from the president to stay in office, raising two concerns. "The president will be able to arbitrarily pick who may stay in the Supreme Court and who may not, as he didn't clarify the criteria for his choice. That means he will have a direct influence over Supreme Court composition", Przymusinski said. He added that forcing judges to go at the age of 65 is a "waste of intellectual potential". "Why can MP's stay in office after 65 and not judges? It is a hallmark of this job that older judges have the necessary experience", he said. 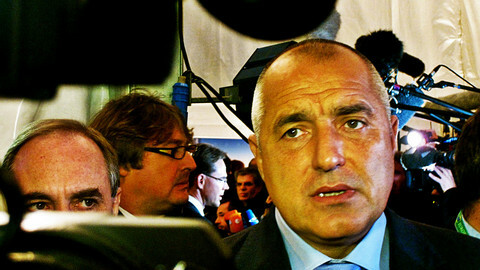 Letowska agreed that Duda's proposal was designed to give him power over who stays and who goes in the SC. The original PiS law said all SC judges would be dismissed the day the law entered into force, and only those approved by the justice minister would get back in. "This [Duda's law] will have the same effect", she said. Malgorzata Gersdorf, the SC president, who is known for rulings that go against PiS interests, will turn 65 in November but the constitution forbids the shortening of her six-year term, which ends in 2020. The original PiS proposals introduced two new NJC assemblies that would enable the government to veto any of the body's judicial appointments. 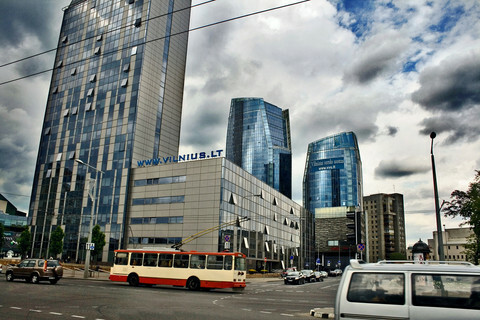 They also created a disciplinary chamber in the SC that gave oversight powers to the ministry of justice, in what was a clear conflict of interests because the ministry also acts as Poland's prosecutor general. Duda's proposals hardly mentioned these ideas. Instead, the president proposed two other new institutions: an extraordinary appeals procedure that allowed citizens to question final judgments (with a new chamber inside the SC to deal with that) and a citizens' group, or "venire", that would take part in SC sessions. According to Barbara Grabowska-Moroz from the Helsinki Foundation for Human Rights, an NGO in Poland, this is counterproductive. "We already have an annulment procedure which serves the same goal as the one proposed, there is no need for a fourth instance. A venire consisting of ordinary people serves best for lowest instance cases, where the public interest should be recognised, but not for complicated Supreme Court cases, which focus on the proper interpretation of the law", she told EUobserver. In her opinion, the president has repeated the PiS mistakes. "Lawmakers should better focus on how to improve the quality of rulings in the lower courts, fix the procedures at the bottom level, speed up the whole adjudication process, resolve the backlog of the court case, and improve the access to legal aid … the proposed changes will actually make it all worse", she said. Even if Duda's proposals do not stray far from PiS' ideas, they could cause problems for the government, according to Jaroslaw Flis, a Polish political analyst. "Finding 3/5 in the parliament to be able to choose the NJC judges will be difficult. 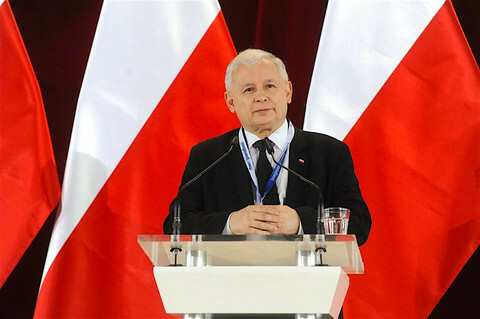 Jaroslaw Kaczynski [the PiS chairman] is not used to seeking compromises and common solutions - it will be a challenge", Flis told EUobserver. 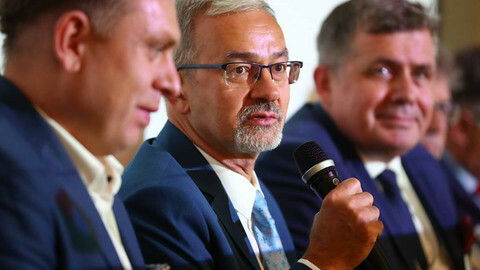 Commenting on the Duda's proposals, Ryszard Terlecki, an MP from PiS, said on Polish public broadcaster TVP: "we liked the July drafts better" and that "the current situation will postpone the whole reform, but we hope, in the end, it will work out in our favour." Flis added: "The president has definitely slowed down the whole judiciary reform process. But it seems he is protecting his own position rather than the constitution". "The president knows that in order to win the next elections, he needs to attract larger support then just the governing party's constituency," he said. And Duda's approval ratings did jump up after he wielded his vetoes. 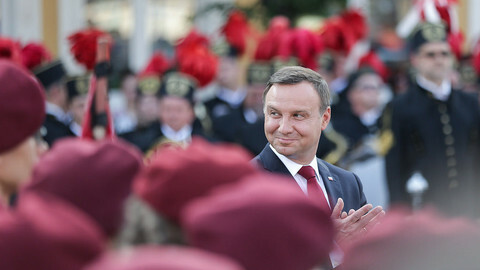 According to the latest survey by pollster Ibris, published on 12 September in Rzeczpospolita, a Polish newspaper, 56.6 percent of people backed the president - a 9.3 percent increase on July. A small decrease in support among hardline PiS voters was compensated by quite a significant rise among the centrist voters - the very effect, Flis said, the president wanted to achieve. 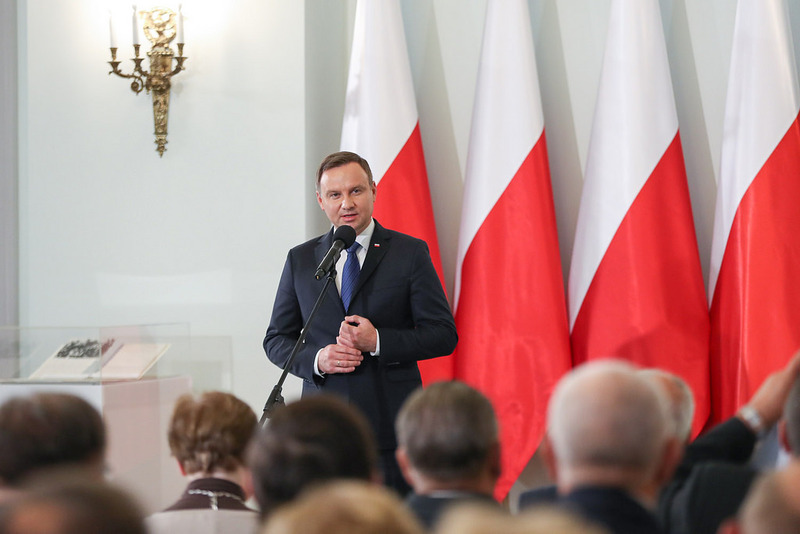 When asked recently what he was proud of in his term in office in an interview, Duda mentioned his role in "the good change [the PiS judicial reforms of the SC and NJC]" and the "overall performance of the government". But for Flis, the fact that Duda did not mention PiS' other controversial moves - its control of public media, its war with the constitutional court, and other changes on education and the armed forces - was significant. "We can clearly see that the president is leaving some options open to himself" to challenge PiS in the future, Flis said. Kaczynski, seems to be aware of that as well. In a recent interview with one of his loyalist weekly magazines, he voiced doubts on whether "the president is still with us"". Kaczynski said "there are differences in opinions, difficult to reconcile" and that "soon we need to ask ourselves a question whether the president is with us and will we be able to proceed with the changes in the country". There are many others in Poland, but also in the Council of Europe in Strasbourg, in the EU institutions in Brussels, and in other EU capitals, who want to know the answer. Correction: This article originally said: "Malgorzata Gersdorf, the SC president, who turns 65 in November and who is known for rulings that go against PiS interests, added that the constitution forbids the shortening of her six-year term, which ends in 2020." But Gersdorf did not say this herself. 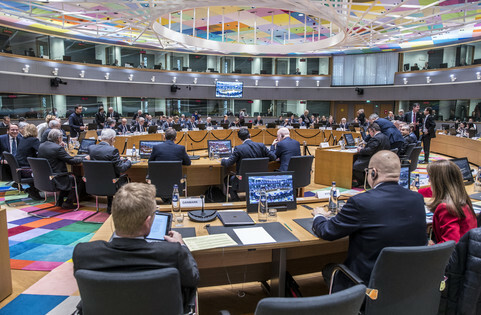 The EU Commission will give an update on the rule of law procedure, but member states are willing to avoid any decision on a sanction procedure.